The lakes and forests surrounding Kabetogama have attracted visitors, businesses, and residents to Northern Minnesota for over a century. Today, the community --- located 29 miles south of International Falls --- serves as a gateway to Voyageurs National Park. The Township, formed in 2001, envelops 21,227 acres of land and water. 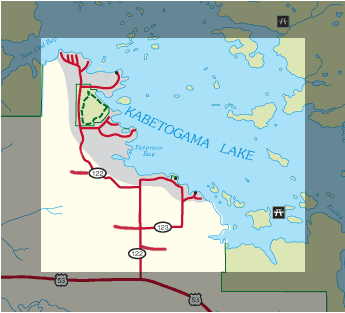 Lake Kabetogama is the most dominant physical feature, covering nearly half of the Township.